It’s no news to anyone who has met my son that he is the definition of “strong willed.” I sometimes think his mission in life is to drive me crazy. I overhear him giving commands to Peanut, and I’m pretty sure it’s just so he can feel that he has exerted some form of authority over someone. First child syndrome much? 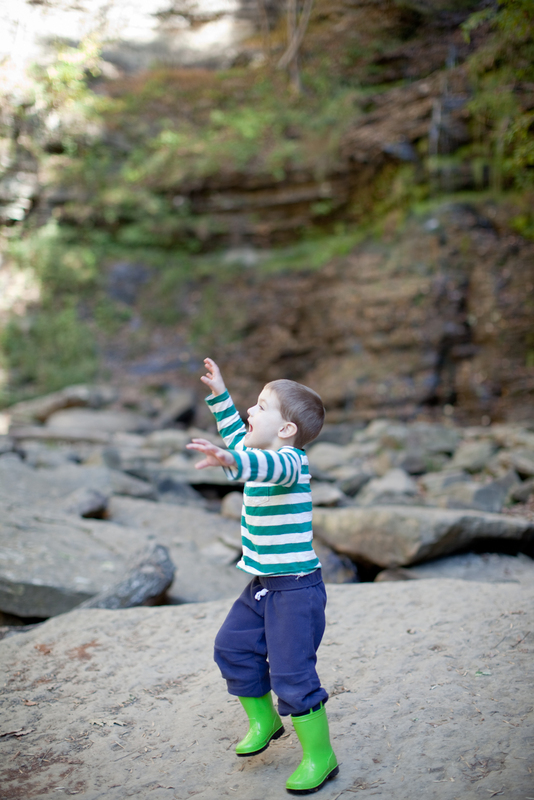 As parents to this assertive child, we are constantly trying to give him some options so he feels he’s in control of something but at the same time trying to make sure he realizes he has to listen to us. It’s not an easy task. The other day he told us that he is the boss. I calmly replied that he actually isn’t the boss, but mommy & daddy are the ones in charge. He got quiet for a second and then said, “Okay, you’re the big boss, but I’m the little boy boss.” Ummm, no. That’s not a thing, Lincoln. Since he often gets in trouble for verbally defying us, he has recently turned to songwriting as a form of expression. I call these his “songs of defiance” or “odes of insubordination.” The other day I heard him singing in his bedroom, “I looove you, but I just can’t pick up my toyyyyys.” His song about not cleaning his room. This morning he was in the other room playing and singing, “Who’s the boss? I’m the boss. Lalalala.” I guess he assumes if he sings the things he wishes he could say in a happy tone he can’t get in that much trouble. Boy, do I have my hands full with this one. When I feel like I’m losing it, I usually start saying, “He’s intelligent. He’s strong. He’ll be a leader and not a follower when he grows up.” While his personality may be a benefit in the future, for now…..pray for me.